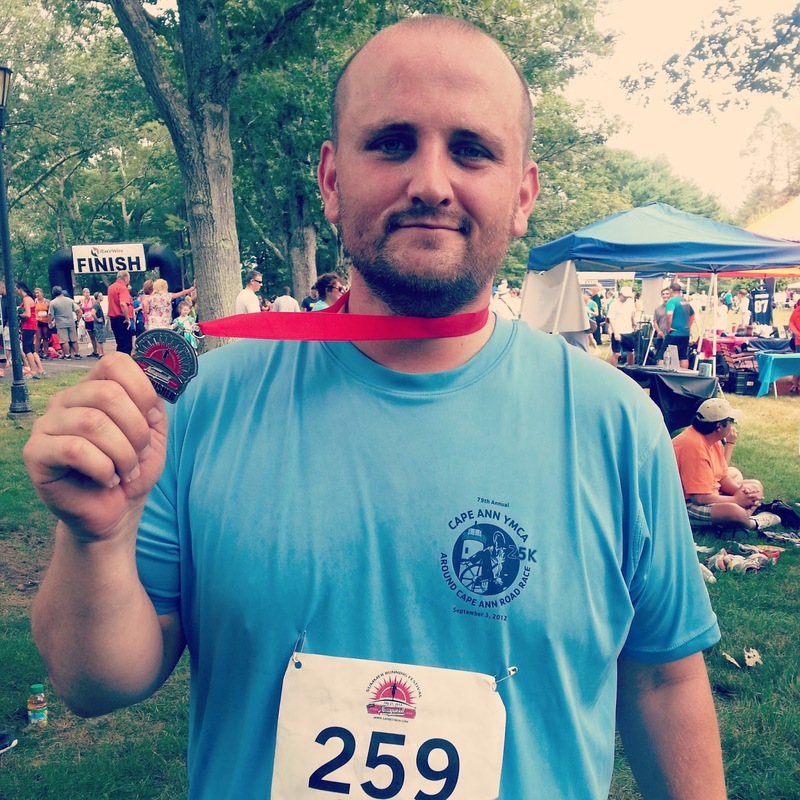 Tales of Running: The 2nd Half-Marathon: I Owed It! So my last race was pretty brutal as I mentioned. It was hot, there were some nasty hills, and I totally lost the mental game. 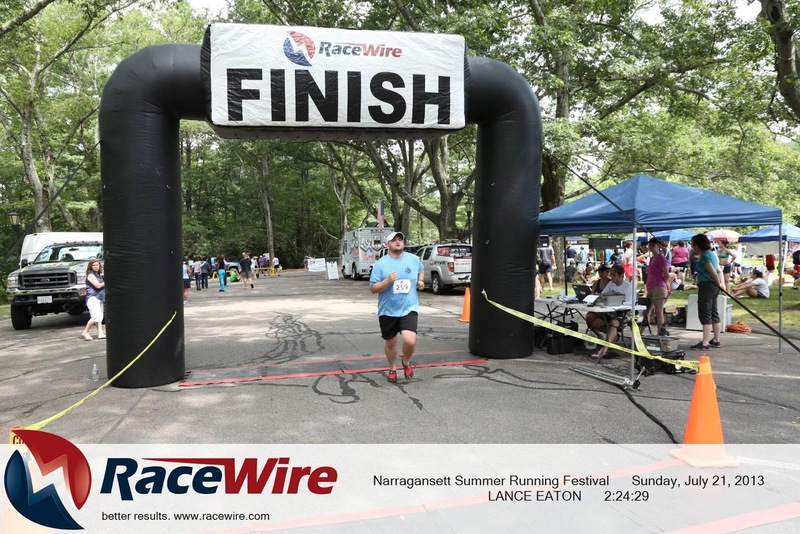 Thus, as I took the week to reflect and prepare for the Narragansett Half Marathon, I tried to approach the run differently from last week's run. That extra time and attention, along with a few things that I changed up, did the trick and shaved 17 minutes off my run between the two. Needless to say, I was pretty stoked about such an improvement! So what happened between the first and the second race. After all, they were a week apart--it's not like I could substantially train and improve my time. Let's look first at what I addressed. Morning fuel: I stepped up my morning fuel. I threw in two bananas (instead of one), some coffee, and more peanuts than usual (a half-cup in total). Coupled with grounded chia and sesame seeds soaked in water overnight and I felt much more energized than the week before. Warming up: I worked a bit more at stretching out and warming up my limbs and listening to my body to see what needed attention. To the back of the line: I made sure I moved to the back of the group before the start so I wouldn't be dodging people or over cluttered. 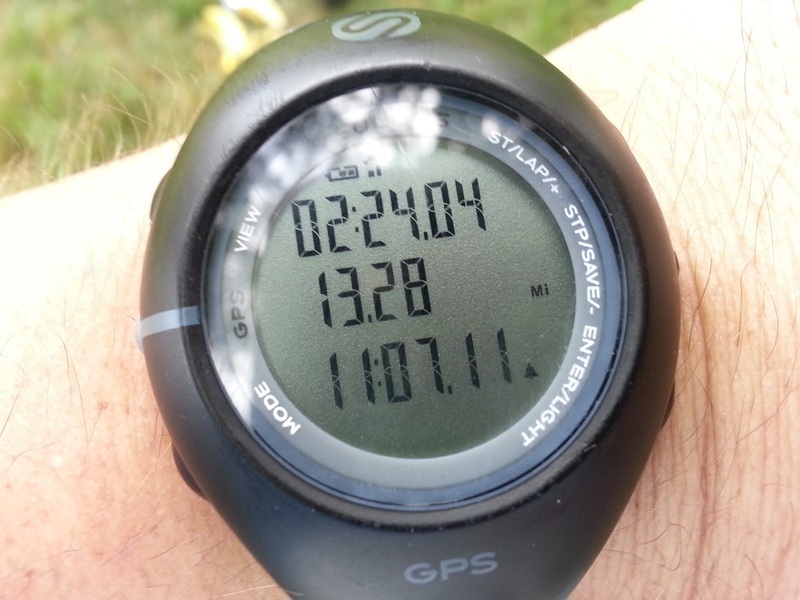 Since many of these events are time-chipped, it wouldn't actually effect my finish time. It helped me keep better pace early on with other people who I was clearly more evenly paced with. One foot in front of another: Funny enough, I'm helping someone else train for a 5K and a piece of advice I regular reiterate to her while on runs is that you can always put one foot in front of the other. I took this advice myself and regularly repeated it to myself as I hit the harder parts of the course. Planned Walks: As I made it into the second half of the race where I knew the mind-game is hardest, I gave myself set places and times to walk. These usually were around the drinking stations (at the 2 mile intervals). I would allow myself to get a drink and walk from 2-4 minutes to let my body rest before taking the run back up. This also helped the mind-game in that I could always say it was only 2 miles until the next breather. Better hydration: Though it wasn't as hot as the previous week, I started taking 2 cups of liquid to drink as early as the second water-spot. But there were things that were different that also contributed to my success as well. The course: The course was less hill-intensive than the previous half-marathon. There were some hills but nothing serious or steep. The hill itself isn't necessarily a challenge but the way it plays on the psyche. You come around a corner and you see the incline and your mind quickly asks "What in hell are you thinking?" The weather: Though only by degrees, it was less hot and even less humid. I'm not sure this played as much of a issue as the shade factor below. The shade: The race had a lot more shade throughout the course. This helped immensely during the second half of the race. The shade left me less depleted and more able to convince myself that I could keep chugging along. Now that I'm into the full season of running with runs every other week, I'm realizing I need to do more than just running. I've been picking up more biking with 1-2 friends but also need to start doing some more physical training or variation. If anyone has any recommendations, let me know . 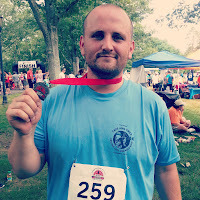 My next big race is tomorrow (Saturday, August 3--17.2 miles). I'm ready for it (I think) but I'm hoping that afterwards, I can start adding more material to my routines to improve my overall outcomes. Oh and if anyone has any good speed workouts for people who use Vibram shoes, I'd be interested in hearing from you!